There is no connection between mobile phones and brain cancer, a point of interest study has uncovered. Researchers found no increase in tumors over the last 29 years, despite an enormous increase in the use of the devices. In Australia, where the study was conducted, 9% of people had a mobile phone in 1993 – a number which has shot up to 90% today. But in the same period, cancer rates in people aged 20 – 84 rise only slightly in men and remained stable in women. There were ‘significant’ rises in tumors in the elderly, but the increase began five years before mobile phones arrived in Australia in 1987, the researchers said. The study’s author, Professor Simon Chapman, of the University of Sydney, said phones emit non-ionising radiation that is not currently thought to damage DNA – and his findings make him even more confident the devices are not liked to cancer. Earlier this year, Australia saw a whirlwind tour from the electromagnetic radiation from mobile phones alarmist Devra Davis. Devra Davis is an international champion of the belief that populations bathed in radiation emitted by mobile phones face epidemics of disease – particularly brain cancer. Davis’ concerns were the focus of an ABC Catalyst program which attracted widespread criticism, including from me and Media Watch. The Catalyst presenter Maryanne Demasi was nominated for the Australian Skeptics bent spoon award. Today the paper is published in early view in Cancer Epidemiology. Extremely high proportions of the population have used mobile phones across some 20-plus years from about 9 percent in 1993 to about 90 percent today. There were significant increases in brain cancer incidence only in those aged 70 years or more. But the increase in incidence in this age group began from 1982, before the introduction of mobile phones in 1987 and so could not be explained by it. Here, the most likely explanation of the rise in this older age group was improved diagnosis. Computed tomography, magnetic resonance imaging and related techniques, were introduced in Australia in the late 1970s. They are able to discern brain tumors which could have otherwise remained undiagnosed without this equipment. It has long been recognized that brain tumors mimic several seemingly unrelated symptoms in the elderly – including stroke and dementia – and so it is likely that their diagnosis had been previously overlooked. The expected number of cases in 2012 was 1,866 cases, while the number recorded was 1,435. This would have predicted 2,038 expected cases in 2012, but only 1,435 were recorded. In Australia, all cancer is recorded. At diagnosis, all cases must by law be registered with state registries tasked with collecting this information. It has been this way for decades. The telecommunications industry of course also has information on the number of people with mobile phone accounts. While touring Australia, Davis was confronted with the ‘flatline’ incidence data on brain cancer. Her stock response was that it was far too early to see any rise in these cancers. However, prominent Sydney neurosurgeon Dr. Charlie Teo would appear to disagree about it being too early. He told Andrew Denton on ABC-TV’s Enough Rope in 2008, “If you look at the science on mobile phones and the link with brain cancer, it is quite compelling… we know that radiation causes cancer, but it takes about 10 years for it to develop, so we know that electromagnetic radiation is going to take at least ten years to create brain tumors and possibly longer 15, 20 years.” In cancer epidemiology, the concept of the latency period is well known. This refers to the time that it takes between initial exposure to a potentially carcinogenic agent and excess cases of cancers of interest to appear. Davis would appear to be arguing that we would see a sudden rise many years later. That is not what we see with cancer; we see gradual rises moving toward peak incidence, which can be as late as 30-40 years. For example, this paper also reports on central nervous system cancers in those exposed to atomic bomb radiation in Japan in 1945. A graph shows 110 of 187 cases were diagnosed in the first 40 years. The incidence and type of cancers of those exposed to atomic bomb radiation varied over the years. And this quote from the methods section shows that there were another 27 who died before 1958 from central nervous system cancers, within 13 years of the bombs. Note here that A-bomb survivors were affected by ionizing radiation. (that is, radiation of sufficient energy to produce ionization). This is where the energy is strong enough to remove electrons from their atoms or molecules, including causing DNA damage. Mobile phones produce non-ionising radiation which is low energy, sufficient only to ‘excite’ the electrons enough to make them just heat up. We have had mobiles in Australia since 1987. Some 90 percent of the population use them today and many of these have used them for a lot longer than 20 years. 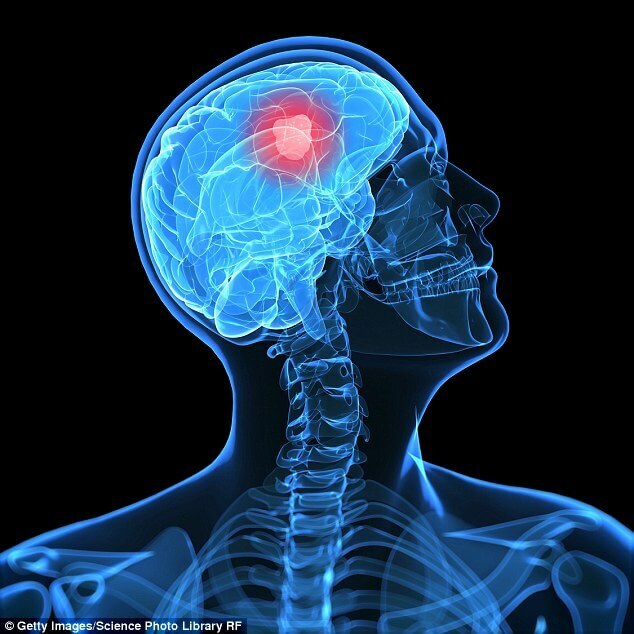 But we are seeing no rise in the incidence of brain cancer against the background rate. So. No more risk of cancer due to my Smart Phone. @Fatima. Yes, the new research shows that we don’t have the risk of cancer due to Smart Phone. But I will suggest don’t be additive to SmartPhones.